Hello! Happy 2016! And yes, I am still here!! I unintentionally took December off, as it ended up being quite the roller coaster of a month. I’ll be recapping it all in a post later this week, in all it’s photographic glory. But as for today, I am back (hopefully for more than just today, h,aha) and ready to start the new year off on the right foot! I am making resolutions (to be shared later), planning meals (planning today!) and outfits (also to be shared later), and hoping that I can blog with more regularity now that life is getting back to normal (or, normal as we know it, at least). I hope you all had a wonderful holiday season and are as excited about 2016 as I am!! I would love to get back to my Meal Plan Monday and/or Hello Monday posts this year! I love starting off the week with a big, strong blog post, and hope I can keep it up this year. So today, I am going to start out with our meal plan for the week. The key to keeping Scott and the kids on our diet plan is to make the food seem as un-diet like as possible!! 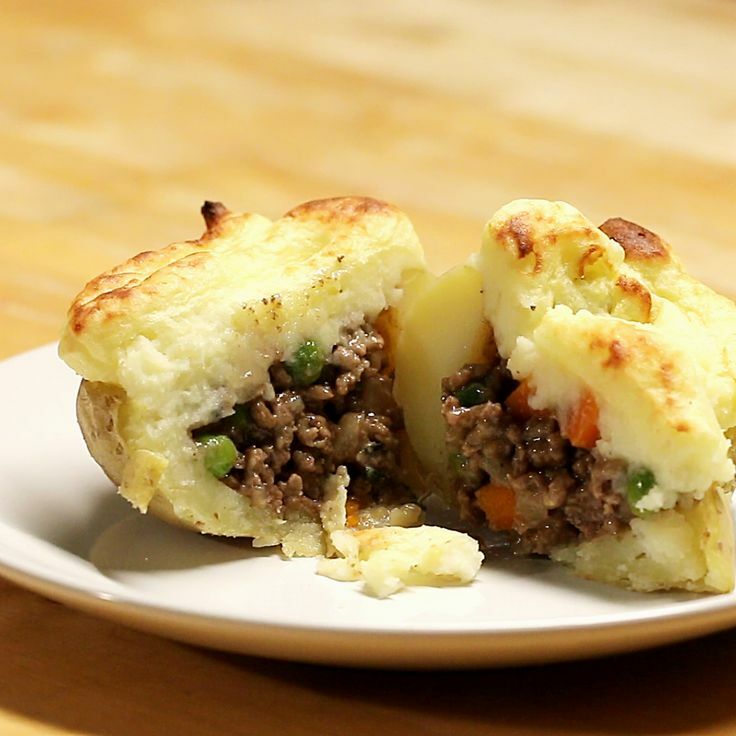 This Shepherd’s Pie Stuffed Potato recipe seems to be exactly that! And I cannot resist the Tasty recipe videos on Facebook, and began following them for some fantastic recipe ideas! I came across this recipe while browsing Facebook, and the video popped up, and I thought it looked great. Comforting and satisfying, and perfect as we ease into healthier eating. I buy a three-pound package of ground beef from Aldi (it’s discounted and even if I don’t use it that week, I freeze it to use later), so whatever I don’t use to make the Shepherd’s Pies with, I will saute up with some diced potatoes and whatever canned and fresh veggies I have on hand for an easy and tasty soup. Making soup is my favorite thing to do with leftovers, espeically when you only have a little bit of random things left. Throw it in a pot with some diced or crushed tomatoes and some chicken or beef broth, and voila! Another dinner! I also love eating soup for lunch, which I may not be as apt to do with random leftover corn and butter beans, so less food goes to waste! 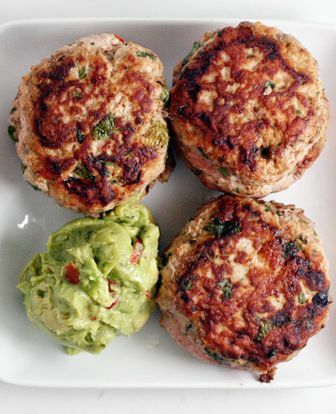 This was one of my favorite recipes from my Whole 30 runs. Scott and the kids liked the burgers too, so we’re going to give it a go this week. The Mexican Chopped Salad is also so delicious. It is loaded with tons of vegetables and instead of the dairy based dressing in the recipe, I’ll be making a homemade cilantro-lime vinaigrette. The recipe for the salad makes a ton, so there will be plenty leftover for lunches! 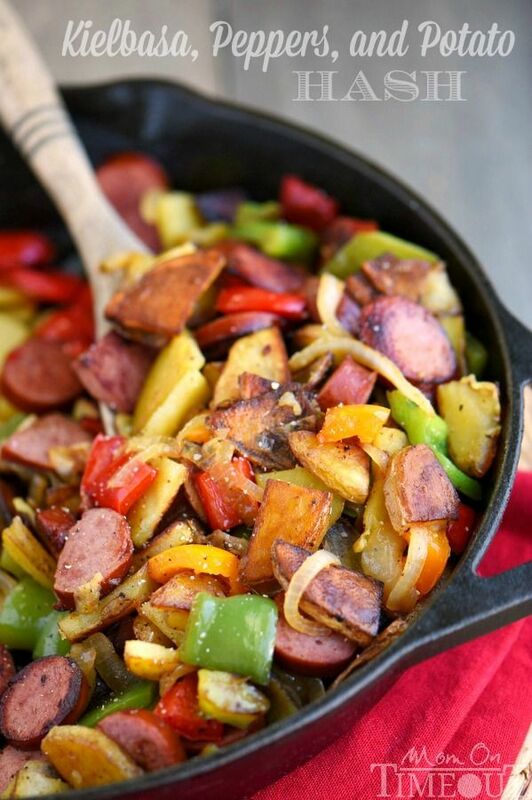 Another really easy and healthy dinner recipe that doesn’t feel “diet” at all. I like to use Aidell’s Chicken Sausage, since it’s Whole 30 compliant, and no added sugar. It’s also delicious! I am going to up the veggie and nutritional content too, and add a little spinach in while the hash is sauteing. 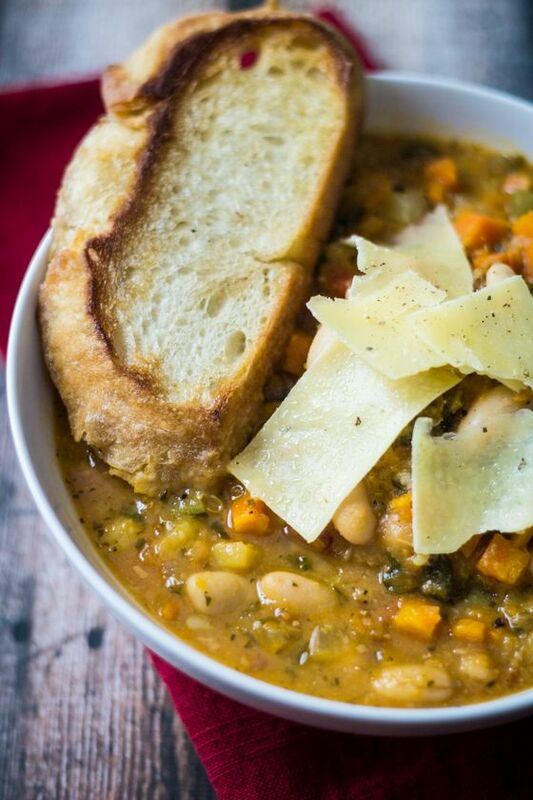 I will obviously not be eating mine with a chunk of bread (though, YUM), but this Tuscan Bean Soup will be warm and comforting now that winter has decided to show up in Georgia (for this week at least, haha). Full of lots of veggies and flavor, I think this soup will be a great meat-free option for us. I would like to plan for a few meat-free meals a week, for budgeting purposes, and also to increase our vegetable consumption. But I’m trying to ease into that, and beans will hopefully fill everyone up! So that’s our plan for this week! What are you eating? Anyone else trying to eat healthier and more clean? And if you have any recipes for clean eating, PLEASE share! I’m not sure how many avocados, eggs, and sweet potatoes we can tolerate, so some new recipes would be great! Cheers to 2016, and see you soon!